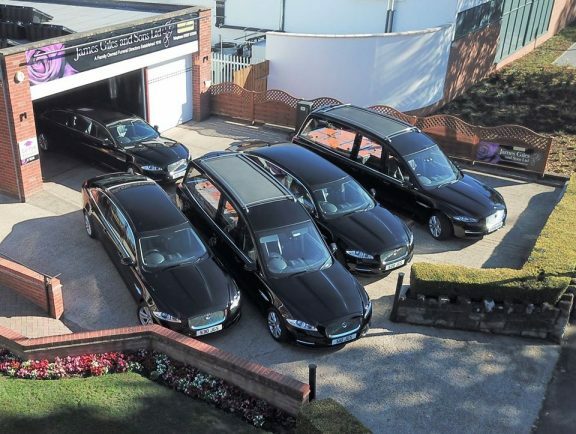 IT HAS been a busy time for a Bromsgrove funeral director which has taken delivery of a new Hearse for its fleet, has teamed up with the Royal British Legion for a fund-raising drive and will soon be marking a year since acquiring a similar family business in Studley. James Giles and Sons was originally started in the town in 1916 and is now on its third generation. Last month it added its latest deluxe Hearse to ensure families’ loved ones travel with dignity on their final journey. In November last year they acquired A Dyer and Sons which, having been in Studley for more than 70 years, was a similar highly reputable family funeral firm in its local area. James Giles and Sons Studley Ltd moved into a new premises – 26 to 28, Studley High Street – and the link-up meant, with the two families working together, they could continue to offer the same high quality service to those who needed it in Studley, Alcester, Redditch, Wythall and Henley, as well as Bromsgrove. It was also fleeted with the James Giles and Sons’ Jaguar limousines as part of the deal. Ray Giles said: “As the first anniversary approaches we want to say a big thank you to the people of Studley and the surrounding areas for giving us the privilege of caring for their families. The company is also offering its ‘Golden Charter Funeral Plan’ which will support the fantastic work locally of the Royal British Legion (RBL). For every Golden Charter Funeral Plan taken out before January 31, 2019, a donation of £25 will be given to the RBL in recognition of the hard work it does all year round in the community. For more on James Giles and Son, Bromsgrove, and to discuss the Golden Charter Funeral Plan, call 01527 872318. For more on James Giles and Sons Studley Ltd call 01527 852213.